Meanwhile I prepared a pot with enough liquid and simmered some carrots, zucchini, an onion, celery, a stock cube, a dash of Worchester sauce and a teaspoon of kunserva. Once the liquid started boiling I added the meatballs. I left it to simmer for around 1 hour. Finally I added the tortellini. 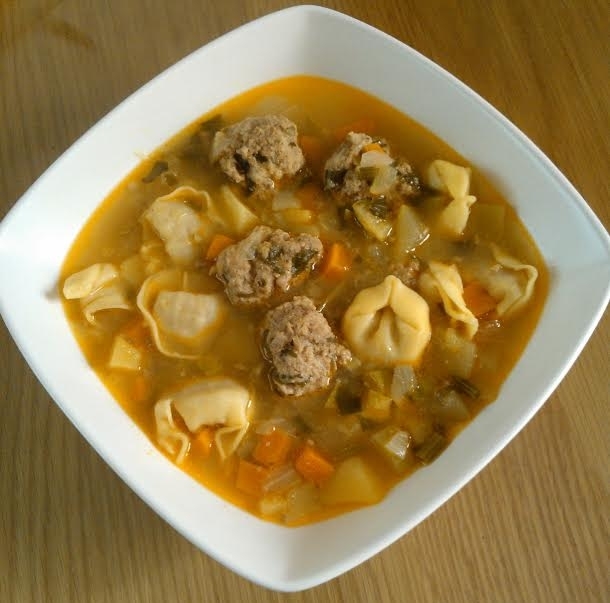 This entry was posted in Beef, First Course, Other Meat, Quick Meal, Recipes, Soups. Bookmark the permalink.